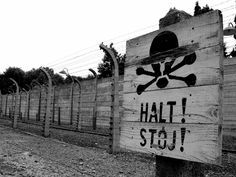 The names of Nazi SS commanders and guards at the Auschwitz death camp in German-occupied Poland have been put online by Poland’s Institute of National Remembrance (INR). The information is based on data from archives in Poland, Germany, Austria, the United States. There are about 9,680 names, nearly all German, on the Auschwitz garrison list, some with photographs attached. The INR hopes the list will prove that Auschwitz was not a Polish-run camp. More than a million people died there. The victims were overwhelmingly Jewish – but Poles, Roma and political prisoners were also murdered. Rudolf Hoess was in charge of Auschwitz from 1940-43 with about six train load of human prisoners arriving daily. Information on the database covers the SS commanders and guards who worked at Auschwitz-Birkenau; their names, place and date of birth, nationality, education, military service, date of arrival to and departure from the camp, party affiliation and where possible, a photograph. In cases where a person has stood trial, judicial documents relating to the case are included with the documents. In 1941, the SS garrison in Auschwitz had about 700 members, in June 1942 about 2,000, in April 1944 about 3,000, and in August 1944 about 3,300. 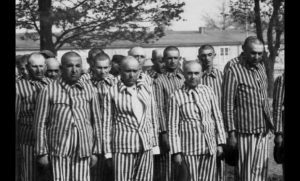 In mid-January 1945, in connection with the final evacuation of Auschwitz, there were 4,480 SS members and 71 SS female overseers. There is no information in the database on the nurses of the German Red Cross who were not SS members. An estimate that the Nazi Germans killed some 1.1 million people in the Auschwitz death camp between 1940 and 1945. 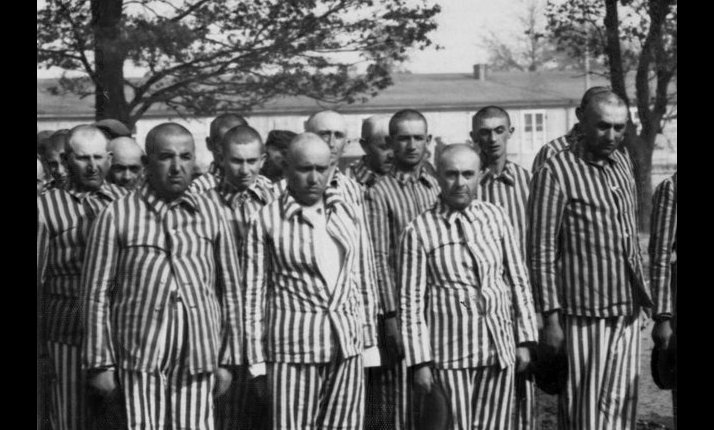 The Soviet Union Red Army entered Auschwitz on January 27, 1945 to release the prisoners, however the Nazis commanders and guards had abandoned the camp days earlier, leaving much of it intact. The list with the database is in Polish but in the upper right corner you have it translated to another language. The database is accessible in five languages. It is a guess that about 200 of these former Auschwitz guards and commanders may still be alive today. The other Nazi concentration camps with their guards and commanders, maybe about 25,000, will also be compiled in the future. This will be a fascinating database to investigate. 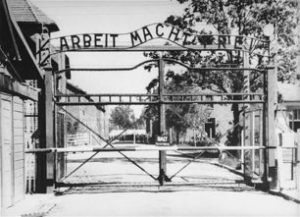 Photos: Entrance to Auschwitz, the Auschwitz Fence; arrivals and the guards and prisoners at Auschwitz.